Matt Cannon, one of the best brokers of Wall Street, needs to clean his act. Being caught in the middle of a lap dance is not exactly what his clients like to see when they open the Wall Street Journal. So, either he turns into a one-woman kind of man, or he’s fired. Simple as that. Now the question is, who’s going to pretend to be his girlfriend? He needs someone to look the part but have no expectations of some kind when it comes to his feelings. Or the lack of them. And there’s only one woman who fits the bill. Sabrina Cross. The woman who, even though trustworthy, has been hating his guts for the last four years and will never fall in love with him. Right? “When I first met Sabrina Cross, I thought she was the most beautiful woman I’ve ever seen. About Matt, do blond hair and blue eyes do it for you? Because if so, you’re in for a treat! They’re both firm believers that marriages don’t work and that feelings only complicate things. Both their parents are role models of bad marriages or relationships so it’s only fair that they think like that. So, basically something bad happened between them four years ago and since then, Sabrina has been hating Matt’s guts. They tolerate each other but they’re always fighting. The only thing that bothered me is that, even though they have been hating each other for the past four years, they were also a thing. Like, they got together between the sheets sometimes and that kind of makes me think “If they already experienced their love other times, how did they not notice it”? You know what I mean? It’s one thing to really not know that it’s there and it is another thing to know it exists and do nothing about it. However, I am a firm believer of timing and that soulmates sometimes lost each other because they didn’t meet at the right time. So I can almost comprehend this situation (almost)! However, this is pretty close to perfect. 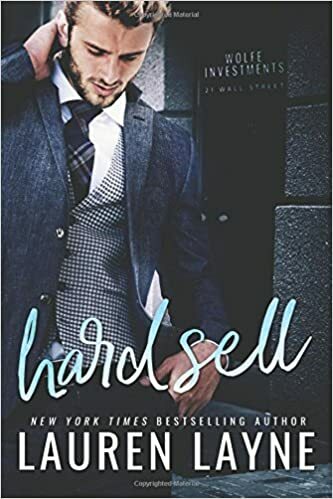 Hard Sell is a fantastic addition to the 21 Wall Street Series. From a fake relationship to a happily ever after, this all-consuming slow burn will charm any contemporary romance reader.